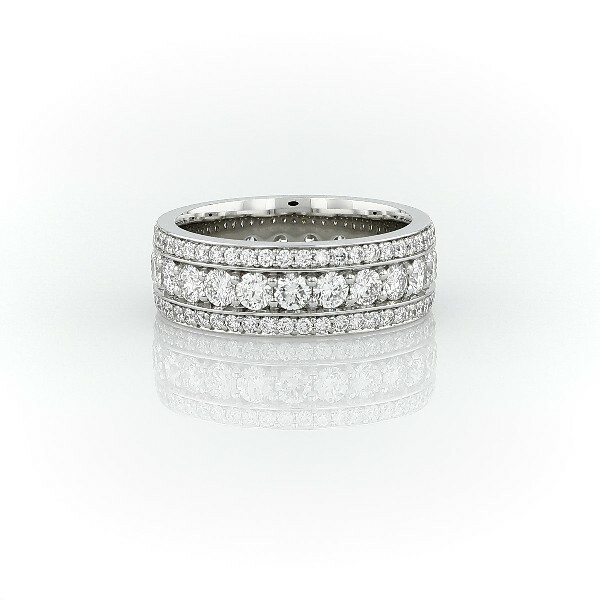 A study in classic style, this triple row diamond eternity ring is crafted in enduring platinum. Three rows of round brilliant-cut diamonds glimmer between platinum edges for a channel-set effect. This substantial style is a statement-making wedding or anniversary ring choice.